Description: Walther P-38 early first issue "0" series. It is in excellent condition. Serial number is 09XX. Caliber is 9mm. Has a war time armorer replacement barrel and locking block which is correct. All other numbers match even the grips. Has all correct stamps and markings. Has the concealed extractor which is extremely rare. The two magazines are later issue but are correctly marked (359). 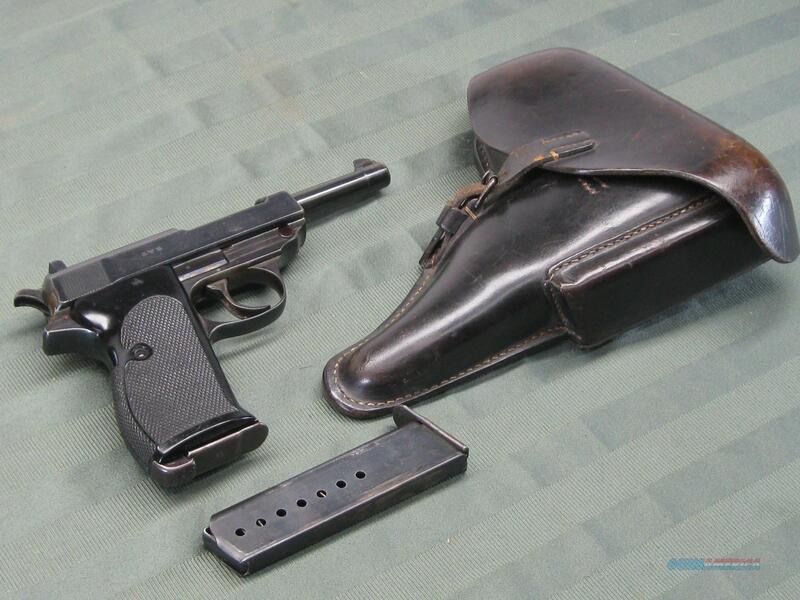 The holster is A.FICHER BERLINC.2 1939 and is in excellent condition. This was brought back from WWII. It was taken from a German officer in 1944. Functions and operates as normal. This handgun belongs to an estate and we are selling it for the owners. FFL or C/R is required. Buyer pays S/H/I. Email with questions or photos. Please visit our other sales. Thank you for looking.